Hi! 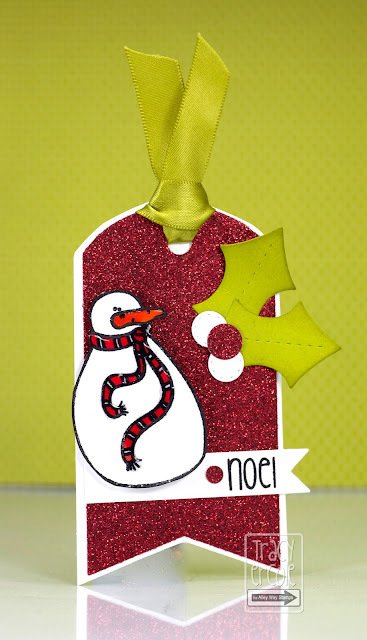 I have a little bit of glitter for you today ;) I used the Jolly Holiday set from The Alley Way Stamps to make this tag. I thought the snowman was the perfect size for a tag. I can't believe Christmas is so close, I need to start shopping! Every year I say I am going to start early but it never seems to happen, I must say it has crept up on me this year though.